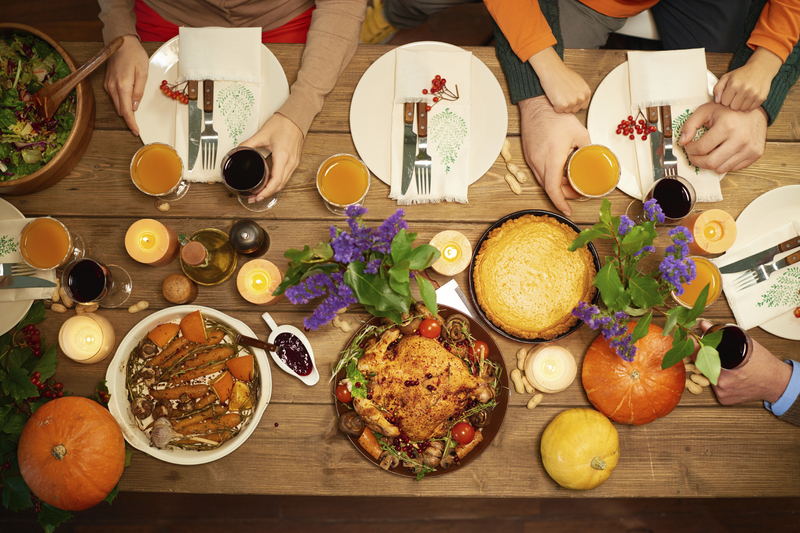 With Thanksgiving approaching we might ask: Where does gratitude fit in the spiritual life? The following is a meditation on the place of gratitude in Ignatian spirituality. It is an essential step. As David Fleming, S.J., an expert on spirituality, wrote me in a letter, "Ignatius saw the examen as prayer, not just focused on the person, but as directed to God. That's why the examination begins with thanks to God, establishing the focus. It's not simply self-examination or dreamy introspection, it is a way of prayer, a way of being with God. And Ignatius meant giving thanks for any "benefits," as he said, in the broadest possible sense. Obvious things would include any good news, a tender moment with a spouse, finishing an important project at work. But also less-obvious things: the surprising sight of sunlight on the pavement in the middle of a bleak midwinter's day, the taste of a ham-and-cheese sandwich you had for lunch; satisfaction at the end of a tiring day caring for your children. For Ignatius many things--no matter how seemingly inconsequential--are occasions for gratitude. You recall them and you "relish" or "savor" them, as Ignatius would say. Savoring is an antidote to our increasingly rushed lives. We live in a busy world, with an emphasis on speed, efficiency and productivity, and we often find ourselves always moving on to the next task at hand. Life becomes an endless series of tasks, and our day becomes a compendium of to-do lists. We become "human doings" instead of "human beings." Savoring slows us down. In the examen we don't recall an important experience simply to add it to a list of things that we've seen or done; rather, we savor as if we were a wonderful meal. We pause to enjoy what has happened. It's a deepening of our gratitude to God, and reveals the hidden joys of our days. As Anthony de Mello, SJ, notes, "You sanctify whatever you are grateful for." The way of Ignatius celebrates gratitude. The Spiritual Exercises are crammed with references to expressing gratitude for God's gifts. "I will consider how all good things and gifts descend from above," he writes in the Fourth Week, "from the Supreme and Infinite Power above...just as the rays come down from the sun.” The examen, as we've mentioned, begins with gratitude. According to John Padberg, S.J., a church historian, for Ignatius the “most execrable and the worst” sin was ingratitude. When I asked my friend Steve, a Jesuit priest in New York, about friendship the first thing he mentioned was the examen. "When I think about friendship, the first thing that comes to mind is finding God in all things," he said. "That surfaces during my examen, when frequently God directs me to things that God thinks are important--rather than what I might be focusing on. Often that turns out to be friends and interactions with other Jesuits--in even the simplest of ways: a random comment in a corridor or a homily from another Jesuit. The examen helps me to be more mindful, and more grateful for, my friends." Paula, a friend who works in campus ministry at a Jesuit school in the Midwest, noted wryly that while everyone will say that they are grateful for their friends, the examen makes it easier to focus on that gratitude. "The examen always helps in friendships and in family relationships," she said, "because it helps with gratitude.” For Sister Maddy, a woman religious who works at a retreat house in Gloucester, Mass., even days when friends aren't as present are occasions for being grateful for them. "Every night during my examen, I remember my gratitude for friends--even if I've not been in contact with them on that particular day. I'm grateful for them wherever they are." Paul, until recently the rector of a large Jesuit community in Boston, said that gratitude was the most neglected part of friendship. For many years, Paul was in charge of training young Jesuits in Boston and Chicago. He has a lifetime of experience in counseling others in their spiritual lives. "One of the most important parts of friendship is living in gratitude for the gift, and growing into that kind of gratitude," he said. Paul noted that one common problem in Jesuit friendships stemmed from a lack of gratitude. Without gratitude, you take friendship for granted. "You forget that it takes a little effort. And the small things matter: making time to call, staying in touch. If people can name a friendship, and can appreciate it, they are more inclined to work at it." True friendships are hard to come by, said Paul, and they take work. And patience. "There are a small number of people who, for whatever reason, easily make and keep friends. But the vast majority of the human race has to ask for friendship, and be patient in waiting for it to come. When we imagine friendships, we tend to imagine things happening instantly. But like anything that's rich and wonderful you grow into it." But what about those readers for whom talk of friendship reminds them of their loneliness? This discussion may help you find ways to strengthen or deepen your appreciation of relationships with family and friends. But what about the lonely reader? Well, you can enjoy God's friendship in prayer, seeing how God is active in your work, your reading, your hobbies. "For those who wonder why it's not happening faster in their lives," said Paul, "I think that it's more important to love and take the first step. And it also may seem that most people have to spend their lives giving more than receiving," said Paul. "But at the end, even with all the work that is involved, even if you only find one friend in your whole life, it's worth it." Besides being a way to gratitude, I find savoring my antidote to anxiety. When a friend is happy in her job but worries what will happen when she gets a new boss. I advise her to savor every day she has with her current supervisor. I try to savor the days I have with my children, knowing that now that they are grown they are often busy or far away. Having been through the turmoil of changes in a worship community, I savor the moments when we sense the presence of God and each other, knowing that the sweetness of community is subject to the law of entropy, at least in this world. And as I begin to feel the limitations of aging, I savor the moments when I can still do the things I love to do, and I try to focus less on the things left undone. "Consider the lilies of the field..."
Point taken, Fr. Jim... .
James Martin, S.J., is editor at large of America and the author of Jesus: A Pilgrimage.